ZION NATIONAL PARK – Two people were injured in Zion National Park after an extremely strong line of thunderstorms blew through the area Thursday evening. A man and a woman were injured while hiking on the Emerald Pools Trail after lightning struck a cottonwood tree, park spokeswoman Aly Baltrus said. The lightning strike knocked down an 8-inch branch which struck the hikers. Emergency personnel responded to the incident, and both were transported to Dixie Regional Medical Center by ambulance in stable condition. The storm that roared through Zion struck St. George at around 5 p.m., prompting a search for a missing kayaker in the Virgin River, toppling trees and causing power outages. High winds and heavy rain then impacted Zion National Park. “We stopped allowing visitors in at 6:30 p.m. and focused additional shuttles to help move those in the main canyon out as quickly as possible,” Baltrus said. “The best thing folks can do is to avoid the storm in the first place,” Baltrus said, “stormy weather is not the best time to see Zion. If possible, come back on a better day. 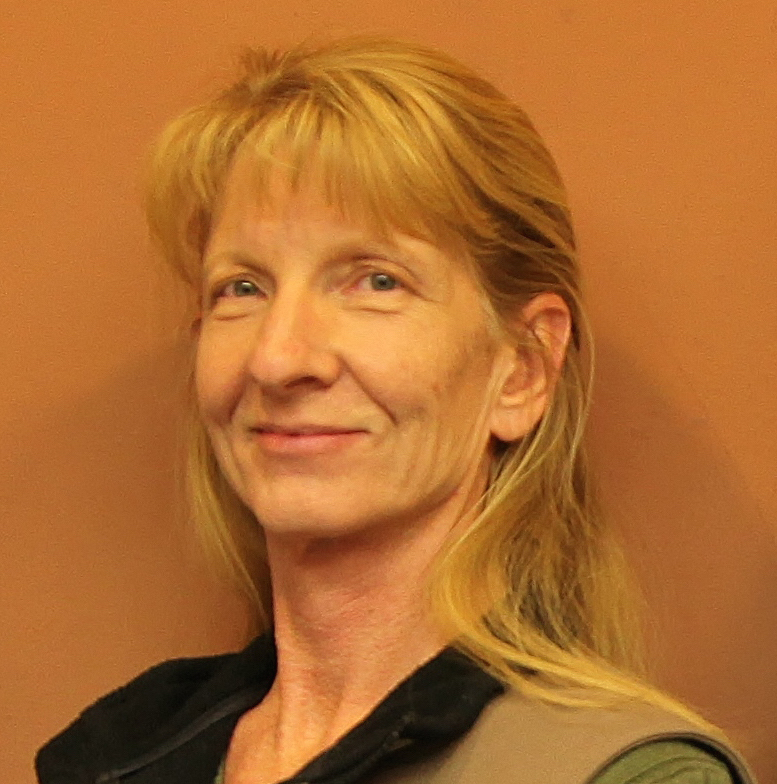 “However, if it’s not possible to plan around the storm, find shelter immediately,” she said. The visitors center, the museum and the Zion Canyon Lodge are the best places; shuttle buses and even shuttle stop shelters are better than nothing. “Most importantly, avoid precipices – Angels Landing or Observation Point, bodies of water and narrow canyons with high flash flood potential,” Baltrus said. According to the National Weather Service,the only completely safe action is to get inside a safe building or vehicle. If you absolutely cannot get to safety, you can slightly lessen the threat of being struck with the following tips: Know the weather patterns of the area you plan to visit. For example, in mountainous areas, thunderstorms typically develop in the early afternoon, so plan to hike early in the day and be down the mountain by noon. Check the weather forecast for the outdoor area you plan to visit – the forecast may be very different from the one near your home. If there is a high chance of thunderstorms, stay inside. If you are camping in an open area, set up camp in a valley, ravine or other low areas. Remember, a tent offers no protection from lighting. 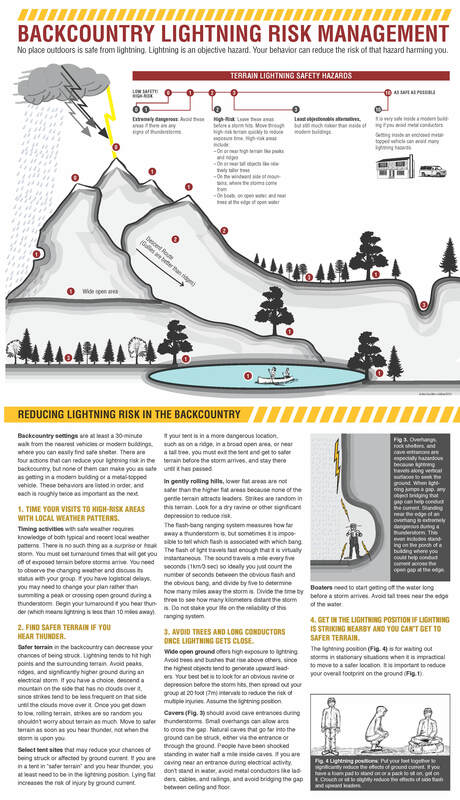 For more information on backcountry lightning safety, see the National Weather Service outdoor lightning safety webpage.